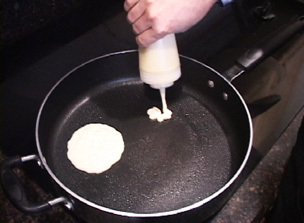 RecipeTips.com's video demonstration, 'Easy-pour Pancakes,' demonstrates a simple way to pour your pancake batter for perfect pancakes. Hi! This is Laurie from RecipeTips.com. 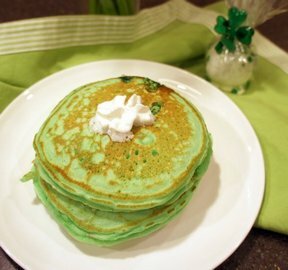 Today I am going to show you how to make easy-pour pancakes. 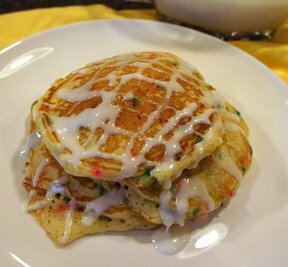 Whip up your favorite recipe for pancakes and then just pour it into a squeeze bottle that has a wide tip on it. If necessary, go ahead and cut the tip off the squeeze bottle top to make the batter flow more easily. 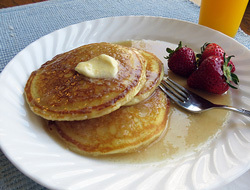 Using a squeeze bottle makes it easy to have your pancakes all the same size; and when you are done making pancakes, if you still have batter left, go ahead and put the whole container in the refrigerator until you are ready to make pancakes the next time. Using a squeeze bottle also makes it easy to make fun designs for your kids. My kids love the Mickey Mouse pancake. Put blueberries or chocolate chips to make the eyes and the nose and the mouth. For more easy cooking ideas, visit RecipeTips.com.